Do your students need more practice with rhyming? Then these ready to use rhyming worksheets are perfect for you - simply print and practice! Great for morning work, tutoring, assessment, homework, or even in literacy stations/centers! 100 rhyming worksheets! Won't my students get bored with these? No! Rhyming is a skill that many students need repeated practice with. 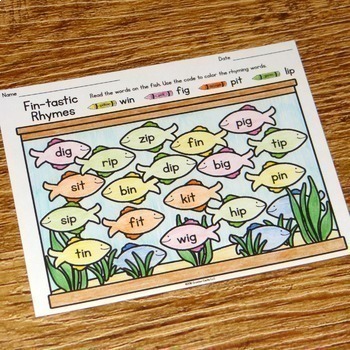 In this set of rhyming printables, you receive twenty different styles of worksheets. Each style then has five versions. This gives your students plenty of variety in their practice. What will students be doing on the worksheets? ❻ Rhyme Time: Students will say the name of each picture and choose which of the two words provided rhyme. ❽ Odd Rhyme Out: Students will say the name of the four pictures in each line and determine which picture does not rhyme with the others. When should I use these worksheets? Once your students are familiar with the concept of rhyming, you can use these for morning work, tutoring, centers, small group instruction, or homework. 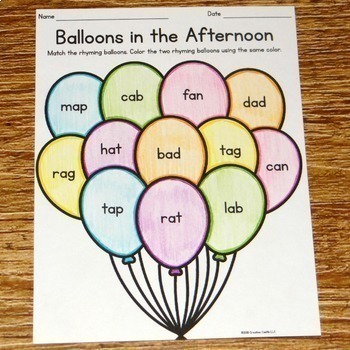 Another great thing about these printables is you can introduce one worksheet format, such as the Rhyme Time worksheet, and then students can complete the four similar worksheets independently. We're limited on copies. Can I still use these? Definitely! You can run a handful of copies and laminate the worksheets, then stick them in your literacy centers. Students can complete the worksheets with dry erase markers, check their work, and then wipe the sheets clean for the next set of students. Do my students really need this much practice with rhyming? Some students will need to work on rhyming a lot. Rhyming practice can vary greatly from verbally generating rhymes to completing worksheets. 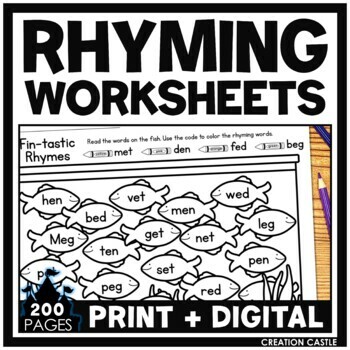 This bundle of rhyming worksheets is just one portion of your rhyming instruction. Having a resource with 100 pages allows you to easily differentiate for students or vary the repeated practice for struggling students. My SPED or ELL students really struggle with rhyming. Will this help them? Yes, the use of Rhyming Worksheets with Pictures takes away some of the pressures of reading words and then determining if they rhyme. 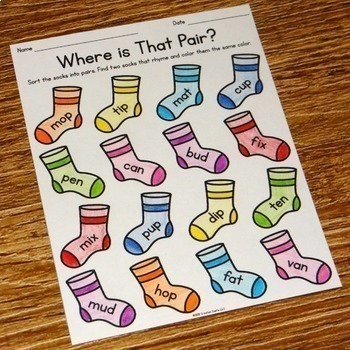 Once your students have mastered this pack of worksheets, the Rhyming Worksheets with CVC Words help them identify rhyming words in print. Do you offer more rhyming resources? Yes, you can find more rhyming resources in my store. You can also work on rhyming through teaching word families.